Festivals 15 : The best celebrations across the world! 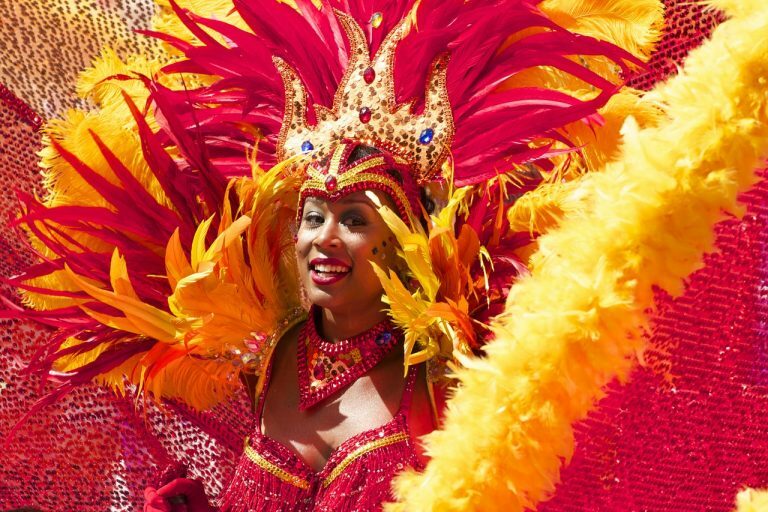 Home » Must Do » 15 best festivals across the world! Festivals are about having fun and enjoying oneself to the fullest. Festivals are also a great way for a traveller to know about the place’s culture and history. Every festival has a story behind it, and it fuels the wanderlust in people. Festivals are also a great way to indulge with the locals and be one among them. Read on to know about the Top 15 festivals across the world! Having a tough time planning your vacation? We’re here to help you! You are just a click away. 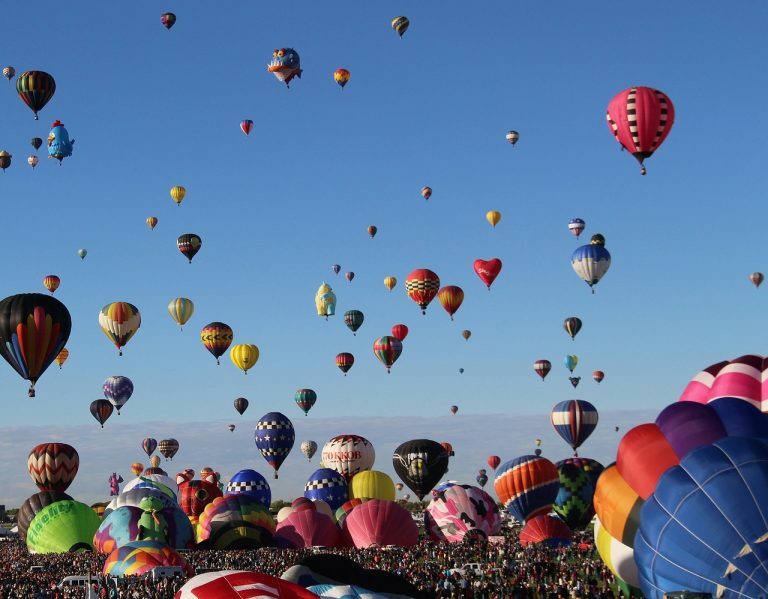 The Albuquerque International Balloon Fiesta is the largest such festival in the world. The festival sees hundreds of hot air balloons that take off to the sky. Apart from normal balloons, the festival also sees an array of uniquely-shaped and glowing balloons as well. The colourful balloons taking off to the sky are a treat to watch, and the festival attracts millions of visitors annually. 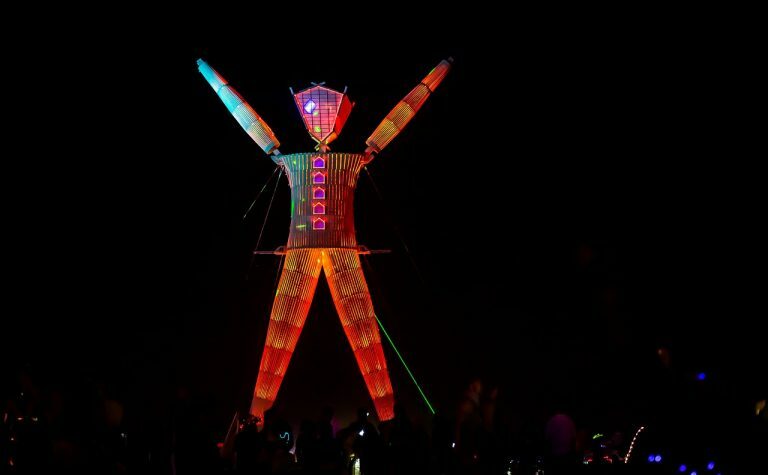 The Burning Man Festival is a celebration of art and community culture. One can be creative and experiment with paintings or sculptures or cars – whatever they specialize in. The festival takes place in the Black Rock desert, in a temporarily-erected city of Black Rock City. Towards the end of the festival, a huge effigy or model of a man is burnt, and hence the name of the festival. While it is one of the most popular festivals in the US, Indians can draw a very close parallel to Dussehra celebrations in India. Bunol is perhaps the quietest town in the whole of Spain, except for the last week of August. 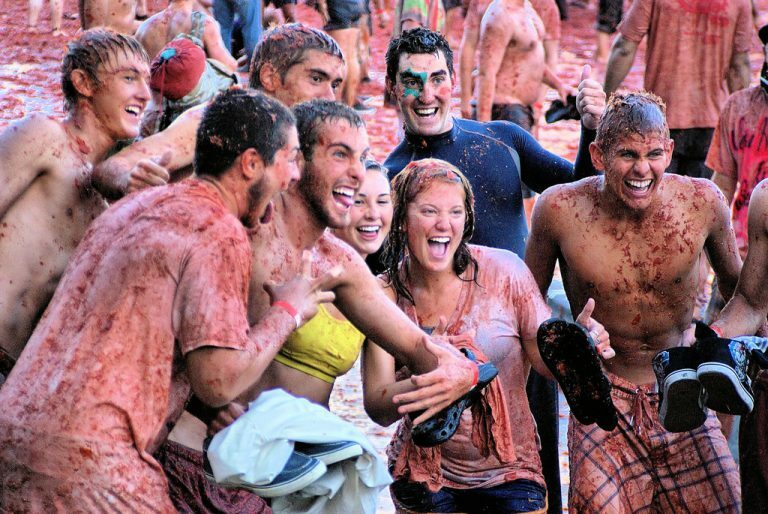 Because that is when the La Tomatina takes place! The festival is basically one where people throw tomatoes at each other and fight, but only for entertainment purposes. During this time, the whole city appears like a war field, drenched in the blood-like tomato juice. To have your own ‘Zindagi Na Milegi Dobara’ moment, visit Spain in August! This event is especially for kids, but if you’re grown up and still love your childhood superheroes, you’re welcome too! With a steep rise in the audience for animation movies, video games and Anime shows; this festival attracts a huge number of fans worldwide. One can also dress up as their favourite superheroes and cosplay in this event. Essentially, attending this festival means a whole lot of fun. 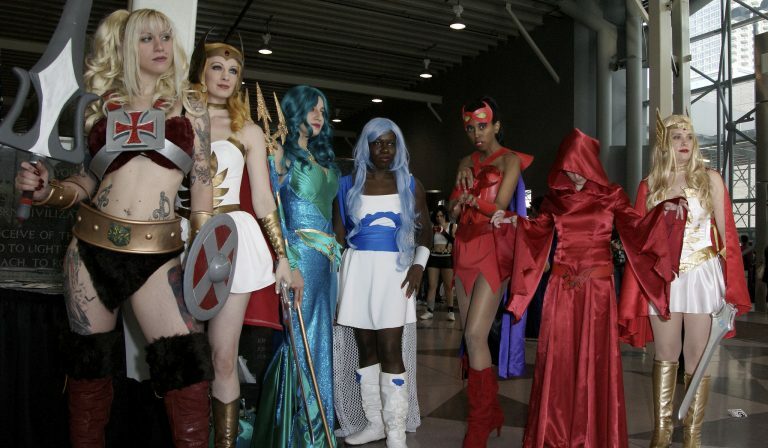 Interesting read: There are many more Comic Cons around the world, here are the rest. 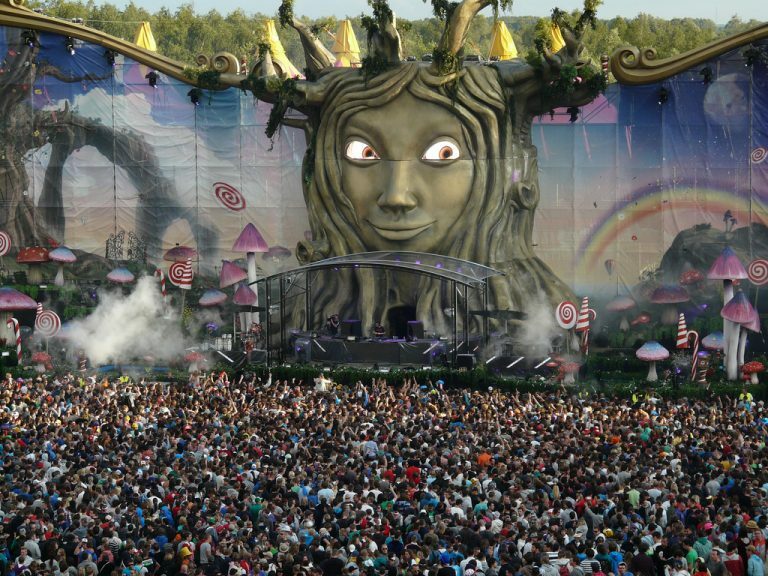 Tomorrowland is perhaps the biggest music festival on the planet. 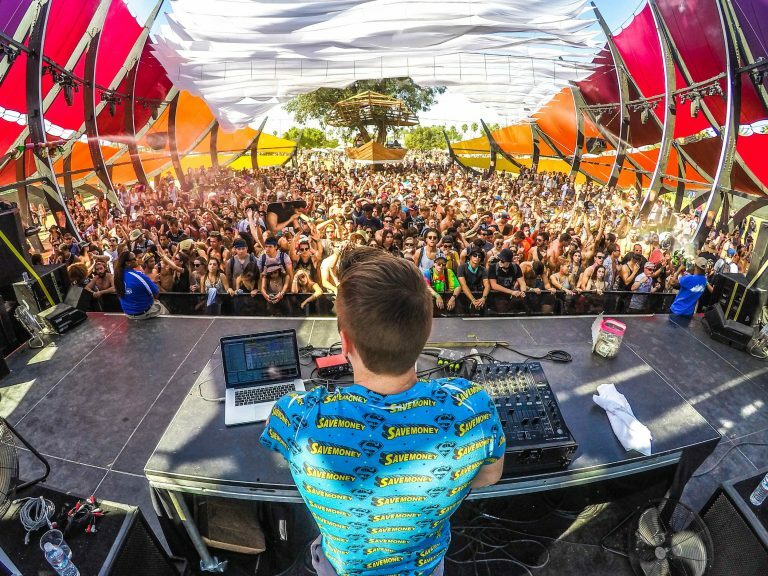 Lovers of EDM music especially need to go there at least once in their lifetime.The highlight of the festival is the performing artistes – some big names in the industry like David Guetta and Afrojack. Here’s a real-time account of the festival. The festival of Songkran is celebrated in Thailand as the mark of the Thai New Year. Initially, the festival was celebrated by sprinkling some water onto elders’ hands and getting blessings from them. But now, it is being celebrated by throwing water on everyone on the streets! It is such a fun time to be in Thailand. Interesting read: 7 most beautiful beaches in Thailand! The Oktoberfest is the world’s largest beer festival. It usually takes place for about 2 weeks, attracting millions of people worldwide. 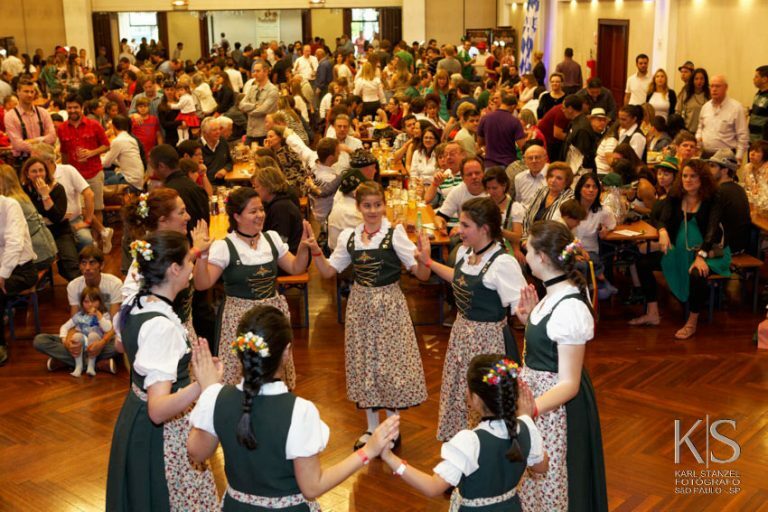 The main highlight of the event is the beer, with millions of litres of freshly brewed beer being consumed. The festival also has many foods and souvenir stalls. The Coachella Music and Arts Festival is one of the most popular and record-breaking festivals in the world. It takes place in the middle of the Colorado desert in California. The festival showcases various talents in music and art. The festival also features established artists from various genres of music, as well as upcoming talents. Coachella is definitely a trendsetter in the history of music festivals. 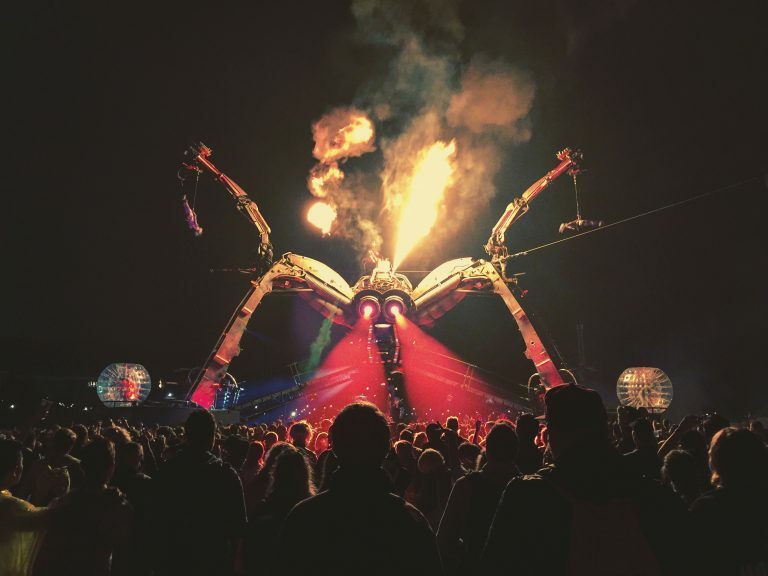 The Glastonbury Dance and Music Festival is surely one of its kind. Apart from dance and music; the festival also features other arts such as circus, theatre and cabaret. Apart from being a wholesomely entertaining festival, the festival also raises money for charity. So when you spend your money going to Glastonbury, you can be happy because some of your bucks are going to the needy! 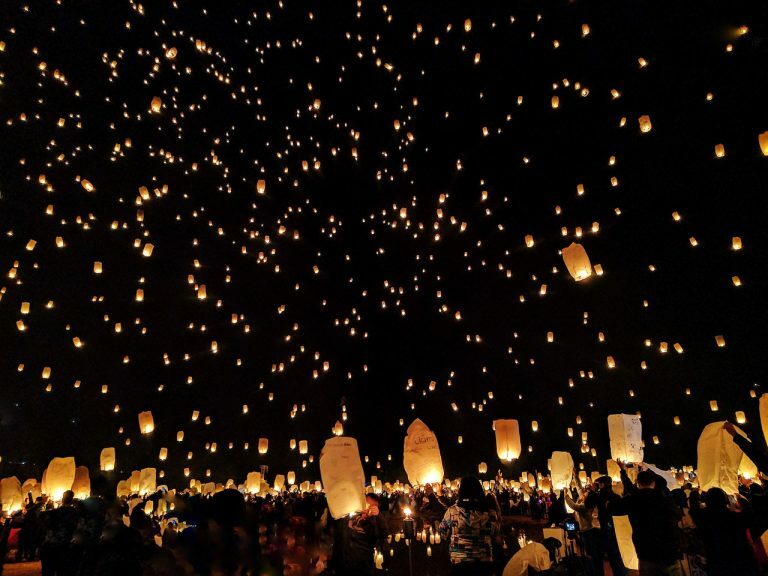 The Sky Lantern Festival is being celebrated in Taiwan for thousands of years. The ‘fire balloons’ or lanterns are sent up in the air, which bears a message from the sender. The lanterns are usually sent to mark the end of the Chinese calendar. Sending a lantern up in the air also denotes hope and positivity. You might have probably seen this in multiple movies – a lot of people and a group of bulls running amok in a crowded city. 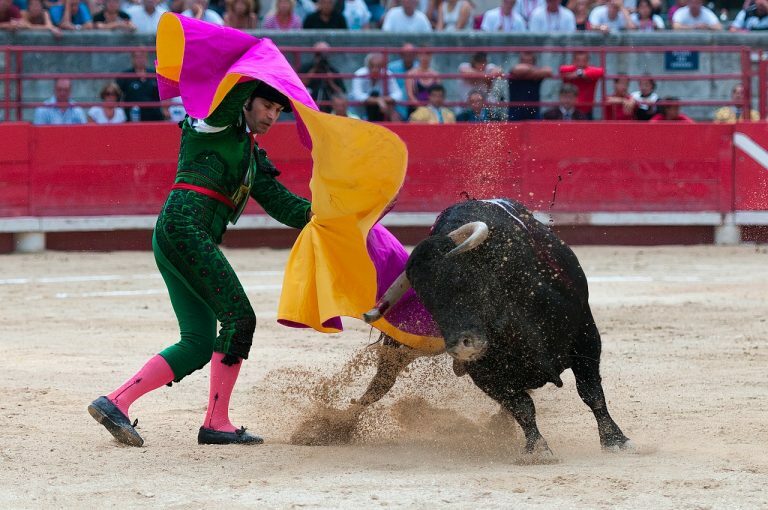 The 9-day festival of Running of the Bulls is basically an act which involves a group of people running in front of few bulls. There have been a lot of casualties and injuries, but people continue to celebrate this festival with the same enthusiasm till date. 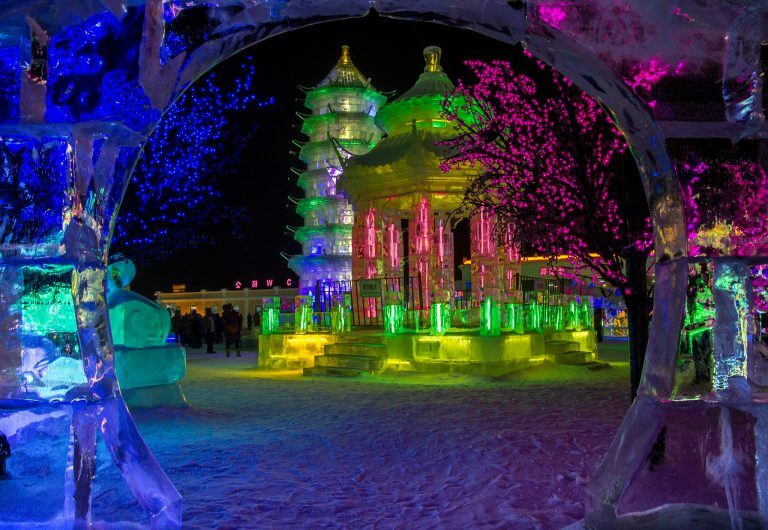 The Harbin International Snow and Ice Sculpture Festival is one of the most famous festivals in China. It hosts some of the biggest and most amazing snow and ice sculptures in the world. Apart from the sculptures, the temperatures can also be unbelievable. The temperature may drop up to -35 degrees C during this period! So make sure you carry enough thermal wear with you. 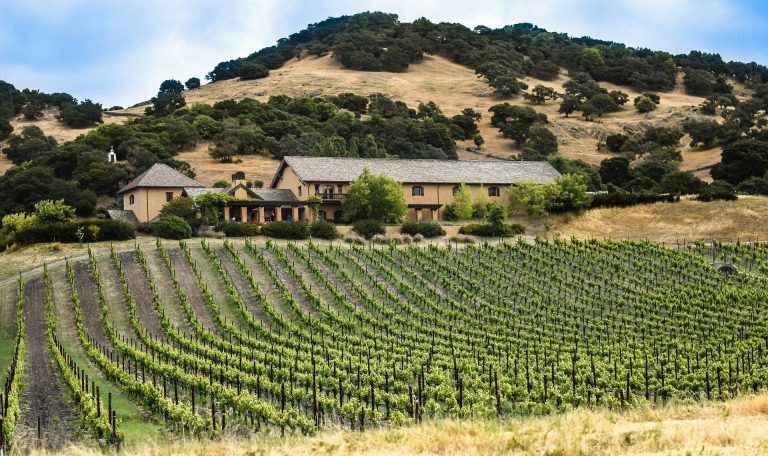 Napa Valley is the Mecca for wine-lovers. With over 100 wineries, it is one of the best and the largest producers of premier wine in the world. The Napa Valley wine festival is held in July of every year, and it attracts millions of visitors worldwide. It is also regarded as the best place in the world for wine and food tasting. Wine lovers, you now know where to head to. The Rio Carnival is undeniably the largest carnival in the world. This carnival marks the beginning of the Lent, before Easter. This carnival sees people dressed in quirky, colourful dresses, dancing their way across the street. This carnival also has the most number of people on the streets, the numbers sometimes even hitting 2 million! 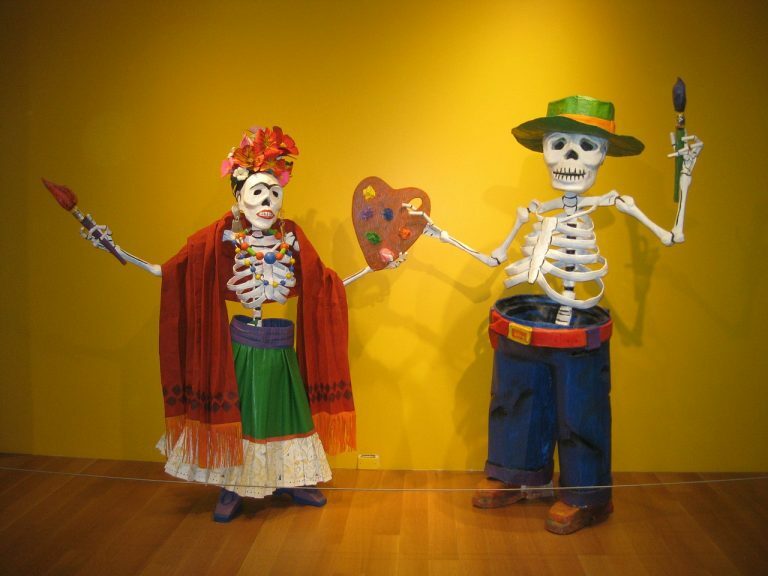 Dia de Los Muertos or ‘The day of the dead’ is basically the Mexican Halloween. The day is celebrated as a remembrance to those people who are dead. The characteristic highlight of this festival is people walking down the road dressed up in ghastly costumes, and sugar skulls being offered as sweetmeats! Did any of these festivals light a spark in the traveller within you? Hit us up, and we’ll help you in making the mission a successful one! Also, don’t forget mention which was your favourite festival from the list in the comments section below.